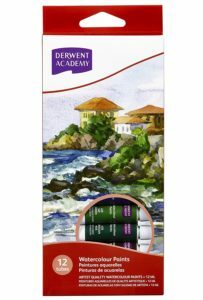 Amazon is here with a great deal offering DERWENT Academy Watercolour Paints 12ml (Pack of 12) at Rs 318. Derwent Academy watercolor paints are made from a single pigment formula ensuring that the watercolor is purer in hue, vibrancy and transparency. Grab this Now..!! How to Buy DERWENT Academy Watercolour Paints 12ml?